Most people go to Hawaii to relax, but when Elias Vastis went there, he found inspiration. He was so taken with the laid-back community feeling he experienced in the islands that he wanted to bring it back with him. When he opened Hula Girl Espresso Boutique in the Dundas West area of Toronto in 2010, Elias hoped to share a little of the “aloha spirit” he had so enjoyed with Canada. The cafe’s relaxed vibe did not come at the expense of ambition, however. 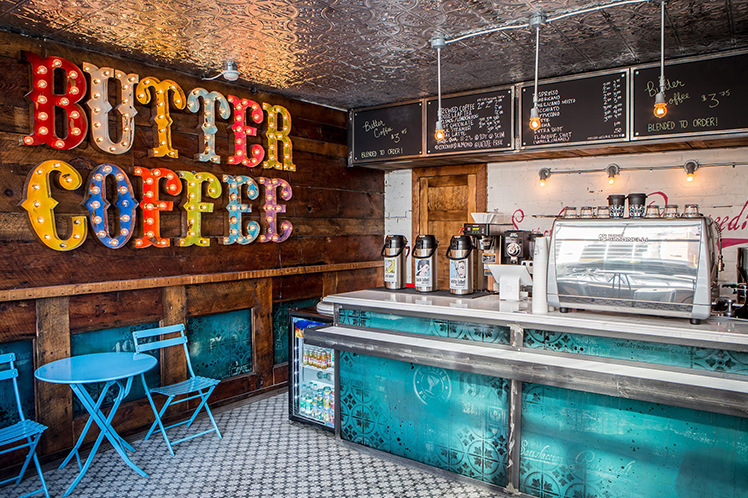 Within five years of opening, Hula Girl Espresso was voted the Best Espresso in Toronto by the readers of NOW Toronto, and the business had expanded to include two brick-and-mortar locations with a third on the way. Hula Girl also runs a “mobile caffeination truck” and a pop-up coffee bar at the 18-day Canadian National Exhibition (CNE), which takes place every summer. The CNE coffee bar gives Elias and his staff the opportunity to test out new creations for the 1.4 million people who attend the iconic yearly event. “It’s cool participating in that environment, and it’s awesome to get really creative,” says Elias. So far he has experimented with coffee blended with organic butter and coconut oil, and a cold-brewed coffee tonic served out of a keg. The rest is history — literally. 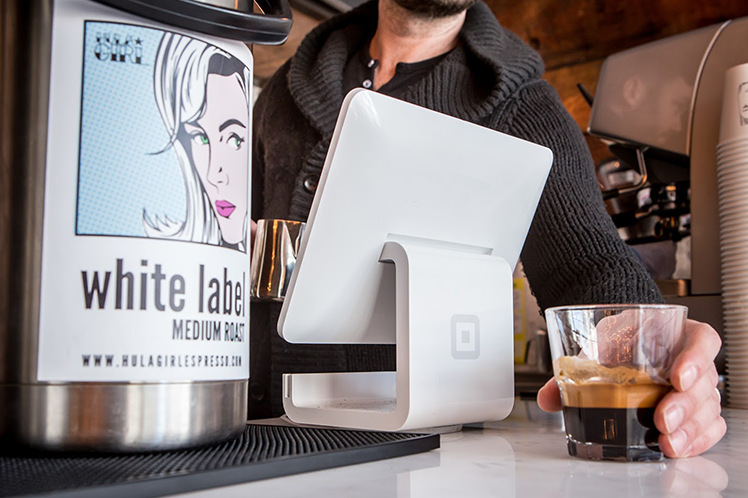 Hula Girl Espresso Boutique was one of the first 100 businesses to adopt Square in Canada. Elias and his staff use Square Stand in the coffee shops and a mobile setup when they participate in markets and other pop-ups. When it’s out and about, the food truck uses an iPhone with Square Reader. Elias says being able to take credit cards on location helps with cash flow in addition to convenience. Hula Girl is often hired by film industry companies that want to have an espresso truck onsite, and Square allows the company to get paid within 24–48 hours, without having to wait for a cheque in the mail.